In a Nutshell: Since Bitcoin pioneered the way for cryptocurrencies, hundreds of altcoins have sprung up in the decentralized financial ecosystem, serving a wide range of audiences. Verge is a notable addition to the altcoin lineup because of its strong focus on privacy and anonymity. The cryptocurrency uses networks including, Tor and I2P, that obfuscate user IP addresses. Operating on an open-sourced platform, Verge is maintained by a group of independent volunteers around the world. Verge is currently gearing up for wider adoption with a new fiat pairing, a new code base, and e-wallets. The rise of cryptocurrencies has led to a decentralized financial ecosystem, running parallel to traditional financial structures. This more libertarian spin on economics is appealing to some. But, for others, it doesn’t go far enough. Cryptos like Bitcoin and Litecoin allow users to conduct financial transactions outside of the established banking system. But, IP addresses and know-your-customer identity standards still make it easy to identify who is making a transaction and from where. That’s where Verge comes in — the cryptocurrency places privacy and anonymity at the top of its priority list, so users can truly conduct transactions without being identified. The cryptocurrency first popped up in 2014 under the moniker DogeCoinDark (it is not related to the Doge meme-inspired DogeCoin) as a privacy-focused altcoin that doesn’t use a blackout ledger as do other privacy coins. The crypto re-branded to Verge (XVG) in 2016 under the guidance of its Founder and Lead Developer, with Technical Director CryptoRekt providing a “black paper” laying out the roadmap for the currency. To find out more about Verge’s approach to privacy in the crypto world and to learn about what’s in store for the altcoin, we spoke to one of its advisors who goes by Lloyd, who works closely with Verge developers on its infrastructure. Keeping in line with Verge’s anonymity-first approach, many of its developers only go by their first names or their internet handles. Verge is a cryptocurrency designed for everyday use and improves upon Bitcoin’s original blockchain, Lloyd said. It seeks to provide people and businesses with an efficient, decentralized way to make direct transactions while maintaining privacy. Verge is able to offer users a completely private experience by operating on anonymous networks, including Tor and I2P to obfuscate the users IP address and location as well as optional stealth addressing which hides the receivers address. Their developers are also currently working on an implementation of RingCT (Ring Signatures and confidential transactions) to preserve the anonymity of the senders address. He said the optional obfuscation of one’s personal identity is a very important component of what Verge offers as a cryptocurrency. But he said users do not have to remain anonymous if they prefer not to, and in those cases, it functions just like Bitcoin. Verge allows users to obfuscate their identity and geographic location when conducting transactions. Lloyd said that Verge also offers valuable integrations and tools that allow users to facilitate large-scale transactions between merchants as well as small-scale private payments. Overall, he said Verge is striving to appeal to the masses at this point by making sure transactions are easy for anyone, and that everyone feels comfortable with the service and with the technology. This includes using Verge wallets to send and receive payments. Cryptocurrencies are a decentralized mode of currency at their core. Likewise, Verge is decentralized in that it is not a business but an open-source project strictly run by volunteers. Lloyd said there are currently about 40 Verge members across the globe with about 20 of those volunteers remaining extremely active at any given time. Lloyd said it’s a passion project. Verge is maintained by a decentralized group of volunteers all across the globe. He said with Verge, it’s possible to actually contribute to your goal, and see results. And, if a person is really interested in pushing Verge’s goals forward and helping the community grow, anyone is welcome to offer their services or time to further the project. Lloyd said the current team of volunteers is spread all across the globe. Sunerok, the founder, is in Florida. Other U.S. volunteers are in Texas, California, and Wisconsin. On the other side of the Atlantic, the Verge team has members in The Netherlands, Germany, and even Turkey. Lloyd said Swen (iOS), Manuel (Android) and Marvin (Desktop and blockchain) are currently some of Verge’s most active developers located in Europe. 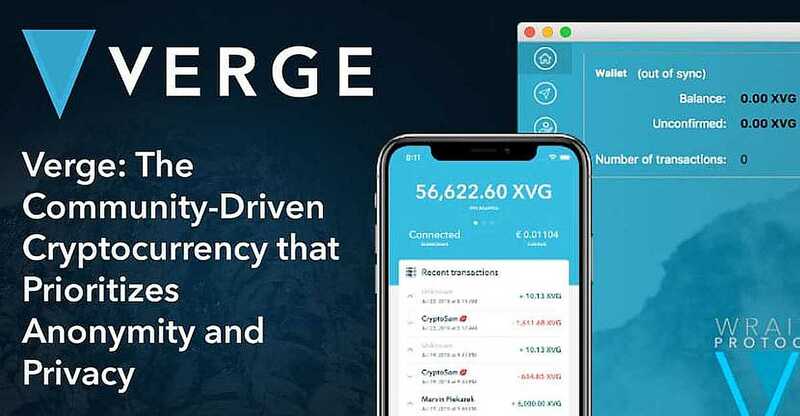 In January, Verge disseminated the news about its first fiat pairing on the NetCents exchange, which allows consumers to buy Verge using U.S. dollars, Canadian dollars, or Euros. Previously, to purchase Verge, users had to purchase another cryptocurrency first, like Bitcoin or Ethereum, and then trade it for Verge on an exchange. Lloyd said the Verge team is excited to move forward and has plenty of other exciting developments on the horizon. The new codebase allows for improved blockchain performance, enhanced chain security, improved CPU and memory performance, and a block indexing time reduced by 89%, according to a post on Medium. Additionally, Verge is working on new and improved e-wallets. The team anticipates the release of an electron desktop wallet in the near future as well as public beta testing for its iOS wallet. 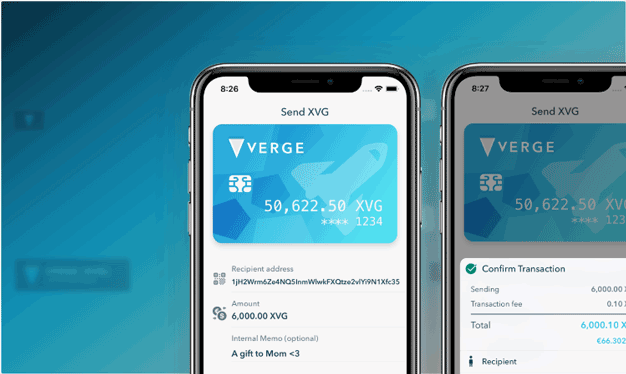 Verge will also release an updated Android wallet that will be easier than ever to use.